Can terrorism and state violence cause democratic breakdowns? Although the origins of violence have been studied, only rarely are its consequences. And even when the consequences of violence are studied, its effects are usually limited to consideration of preexisting conflict that originally spawned the violence. 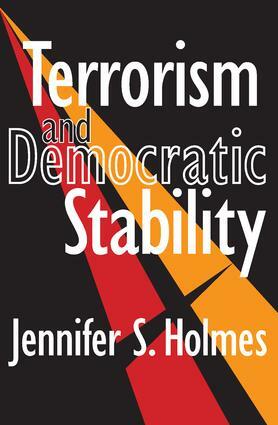 In Terrorism and Democratic Stability, Holmes claims that to understand the consequences of violence on democratic stability, terrorism and state responses to terrorism must be studied together. Her innovative approach identifies citizen support as a key factor in the state's ability to sustain democracy and achieve stability. Her focus is Uruguay, Peru, and Spain.